Steve Ferrante's High Performance Blog for Sales/Customer Service/Leadership Champs and Progressive Professionals! There will be plenty of baskets made this basketball season. None will be more meaningful then the two baskets made by Lauren Hill at the Division III women’s basketball opener yesterday in the Cintas Center at Xavier University. Ironic, isn’t it? You can learn a lot about life from somebody who’s dying. Pinnacle Performance is about being the best and the very best never give up, even in the face of adversity. 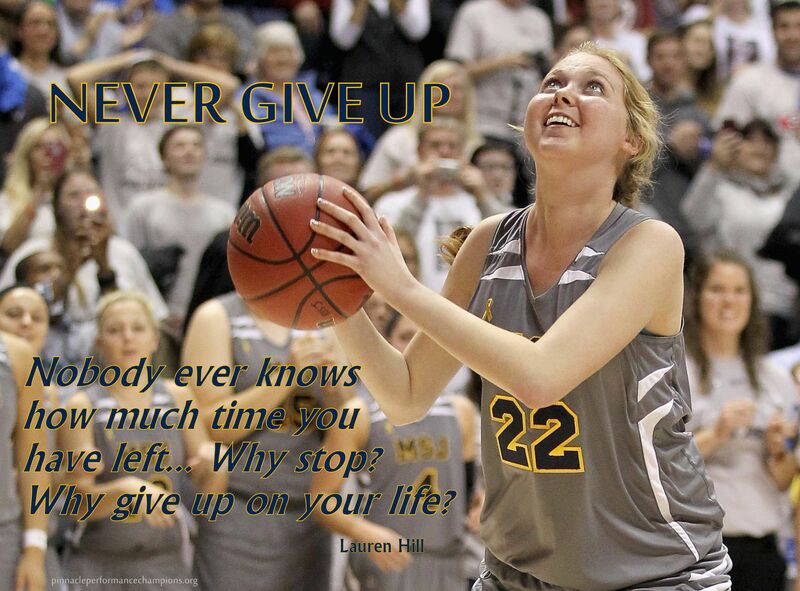 Lauren Hill is a true Pinnacle Performer and her “Never Give Up” attitude is an inspiration to us all. Is Good Enough Good Enough For You? Enter your email address to join with other champions following this awesome blog and receive notifications of new posts by email. Passion Powers Performance – Does Your Team Have It? Steve Ferrante @ Sale Away LLC. How Fit Is Your Customer Service?